This Mother’s Day treat your mama to our twist on an afternoon tea. Introducing our tiered fried feast fit for a queen, served with buttermilk fried chicken breast, dirty bird style. 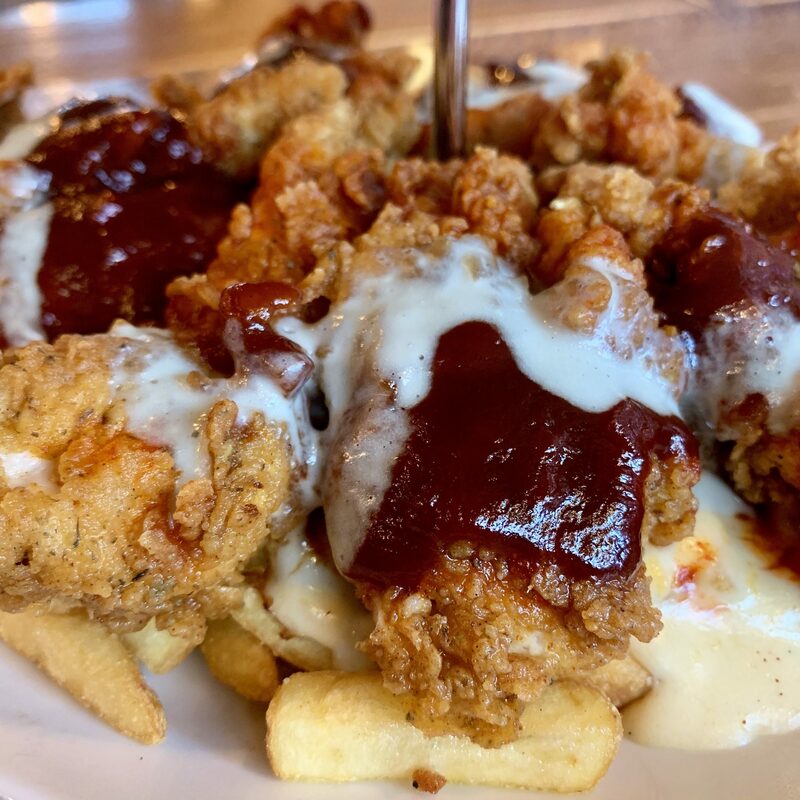 It’s the ultimate buttermilk fried chicken pile up, with the bottom tier consisting of a Dirty Bird for two: chips with cheese, chicken breasts, smothered in our Bee’s Knees, Dr Pepper BBQ and Blue Cheese sauces. 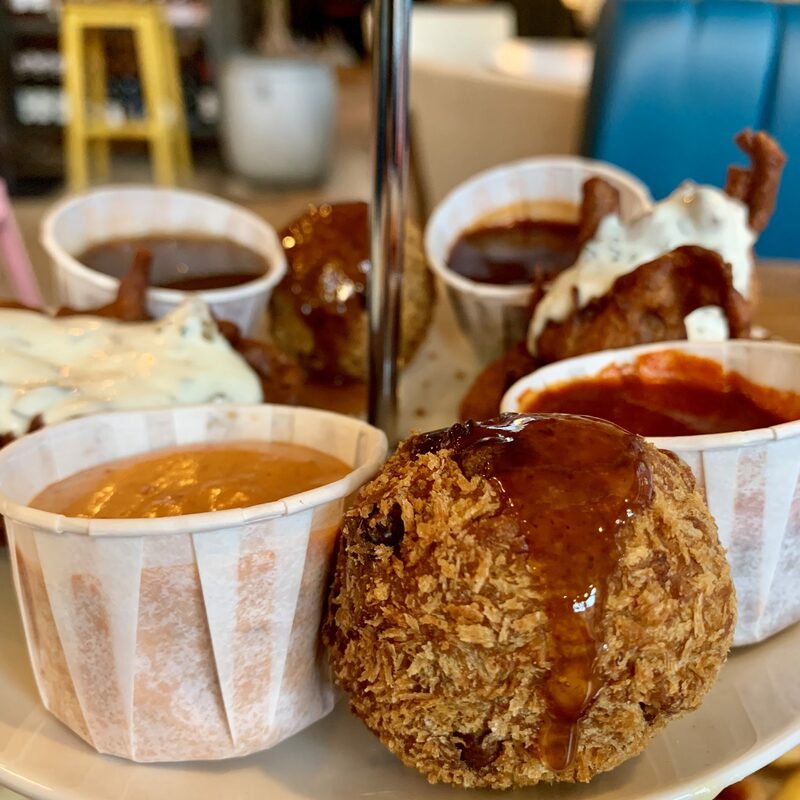 The middle tier has Amaizeballs, Gunpowder Chicken and a selection of all our homemade sauces, perfect for dipping! 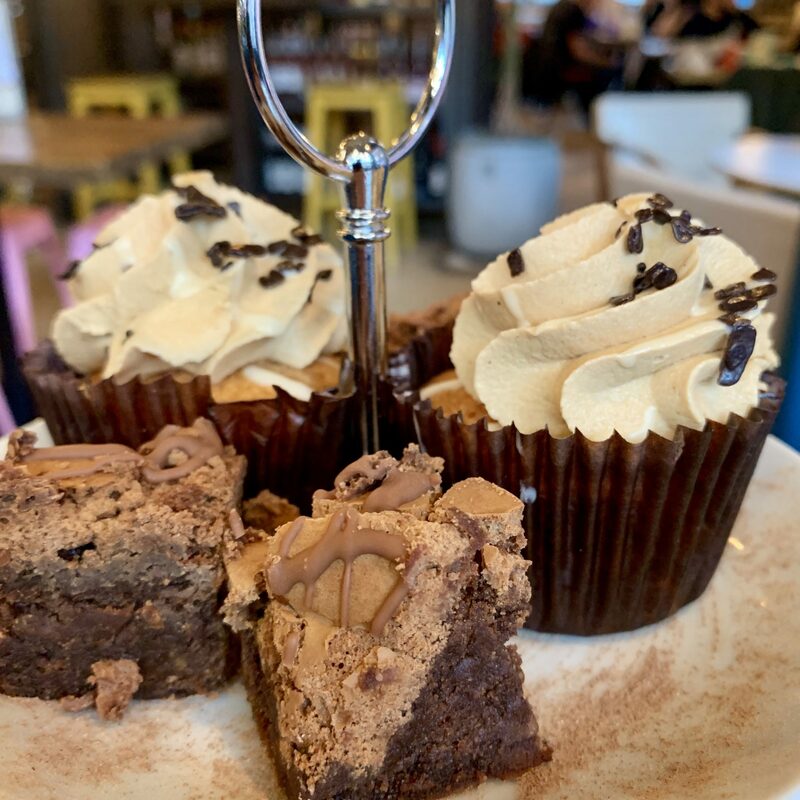 The top tier will finish you off nicely with our homemade lush brownies and cupcakes. 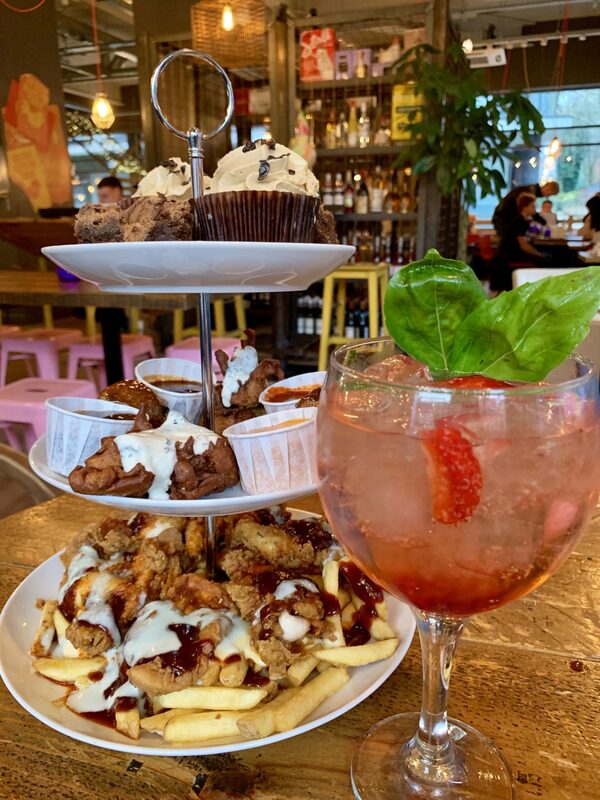 Wash all this down with a gin serve from our BOOZE menu. Our fried chicken afternoon tea is available on Sunday 31st March for £20.